Don’t forget in TAR 6 in Hungary, teams used an Internet cafe for the first time to retrieve their next route marker. It was also the midpoint of the first ever uberleg/double length leg. Ooh yes, how could I forget. There were so many times after that season when teams went to internet cafes around the world to search up flight options on their own discretion. It kind of died out altogether a few years later though. I have always cherished Mirna's skill of inveigling ticket agents. Her rigor, willingness to spend time with people from different countries (rather than just asking for directions), and knack for a laugh makes her my all-time favorite racer! Pair it with Charla's no-quit attitude toward any task and they are by far my most favorite team to grace television. No other team can meet their mark in this day and age. Closest it's gotten to surpassing them was Brook & Claire, and that was eight years ago. It's sad how nowadays we barely see teams interact at or en route to the airport unless it's an important piece of CBS web "extra", because those were truthfully the host of intense make-or-break moments. Gone are the days air travel could still kick teams off a flight or refuse to sell tickets (Eric & Danielle and Colin & Christie hahaha), the heavenly standby list, alternative options, and being crafty to overdraft plane tickets. Charla & Mirna are one of my all-time hated teams. I had to ask: do you guys think they would've gotten the Fast Forward even if Adam & Bethany didn't show up? It seemed nearly impossible. Charla & Mirna were such a full, complete and well-rounded team. They were entertaining, but they were also good Racers. Sadly, I don't know that their skills would carry over well to modern TAR. TAR is very different in structure today than it was even for TAR11. And the things that Charla & Mirna excelled at (travel/airport maneuvering for example) no longer exist on TAR. They and #TeamExtreme would easily fit the "two all-female team quota" for a returnee season. It still fascinates me that the 2 relatively weak FF teams in TAR 23 made the top 6. We need better FF teams. Nobody really cared that Mona & Beth made the F3 in Season 22 because F/F teams were doing so well then. Seasons 21-25 really was a good era for F/F teams. 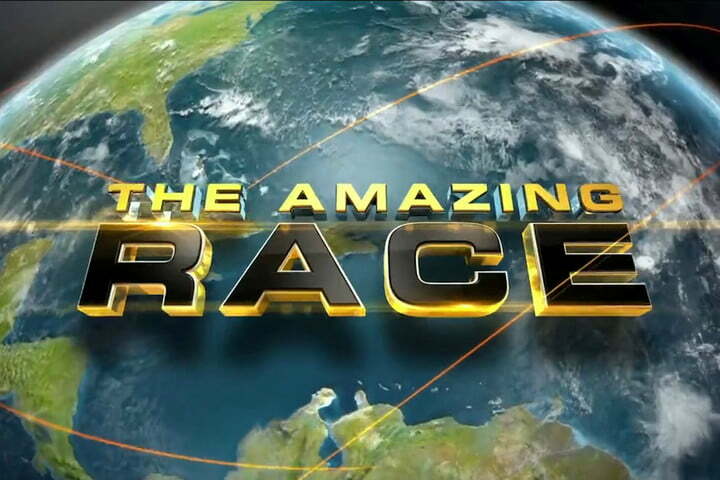 Well, I finally watched TAR Aus 2 for the first time, and now I'm gonna give my thoughts on what is considered the best International Race of all time. Route: The Philippines was a great first location for the race, then the jump to 2 India legs was fantastic, we never see India this early in TARUS! From crowded India to the desert metropolis of Dubai was great. Turkey was a great location as well. My one complaint of the route was that Paris should have been a whole leg. Cuba was great to see, as someone who lives in the States, it was really great seeing a country I can't visit. Canada was a refresher too, and the US needs a Pit Stop in Vancouver. China penultimate legs are always great. Guilin and Brisbane final was great too. Tasks: I'm glad this season lowered the amount of reused tasks from other versions. I'll list the tasks I really liked. The stair puzzle Roadblock from India 2, Memorizing the 8 symbols in Hagia Sophia, All Cuba tasks, Every Canadian task, and the final task. Teams: I have to say I really didn't hate any teams this season. I'll spoiler tag the winners in case you haven't seen this season yet. TARAu2 is the gold standard for all international TARs. And honestly, better than most, if not all TARUS seasons since then. Honestly, Lucy & Emilia made that season worth it for me. If any duo from the Race franchise could be chosen to host a comedy show, I would so vouch for them. This is kind of random, but I love that two African-American teams placed 1st and 2nd in TAR 18/Unfinished Business. I wish we had more racers of color (that make it far). Turned on CBS right now to find the Survivor finale airing and I was so surprised to see the young adult-looking Mike from Mel & Mike now looking like (no offense to Mel the task beast) his father in his early 60's. I missed him and Mel! 19 and 23 are the closest, each with three minority finalists versus UB's four. In addition to all money earned at the Detours, you MUST give all the money in your possession to help the orphans. In exchange, you will receive a clue to help you find the next Pit Stop. I feel like this setup was flawed, even though it created a chaotic mess (probably intended) for the teams. The teams were still given a clue even if they didn't give all their money, so the wording is off... I don't know, what do you guys think? Edited to add: The Buddha Roadblock from Leg 3 was really good and an extremely underrated/forgotten task. More tasks need to be like this. Rewatching it, I didn't realize Kaylani & Lisa and Liz & Marie started in 3rd/4th before ending up as the last two teams to check in. Also, the race to the finish in the same episode was really well-edited (it was suspenseful even though I knew the outcome) and not lazily done like post TAR 21. ^and they came so close to 1st twice. I personally don't feel like this is much different from, "walk to this destination" and then someone takes a taxi, and still gets their clue from the box, but gets penalized later. In Season 21, Episode 4, Abbie is very clearly giving Ryan verbal instructions during the Roadblock... it's rather jarring to watch considering they've given penalties for this in Season 27 and 30. Anyone care to rewatch? Did I misinterpret that part?